We have the experience and knowledge to make your next move the best moving experience of your life. Local moving companies are preferred for empathy and understanding of their neighbors. We show up with a Clean 24′ Box Truck, Dollies, Furniture pads, and Basic Tools. Hiring a quality mover can be a tedious and arduous task. 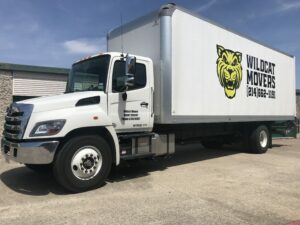 Above all when considering what moving companies to hire for your upcoming move we believe hiring the best Dallas local movers is the right decision. When you hire a Dallas local moving company you will get a company that is invested in the community, and really cares about its neighbors. In short Wildcat Movers will treat your family with the respect you deserve.